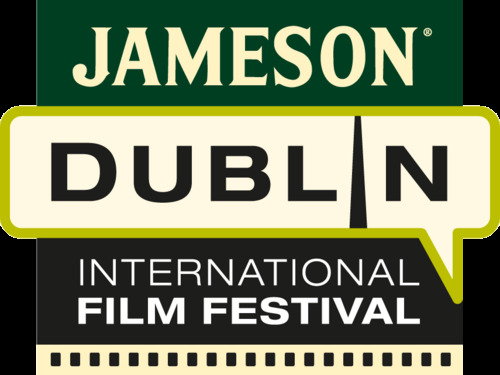 Silence became somewhat of a recurring theme over the three screenings I attended on my first day at the Jameson Dublin International Film Festival 2013 (it started on the 14th, but despite my freebie season pass I had to pass on the first two days of festivities). Unfortunately, technological shenanigans were responsible for the two most unwelcome periods of silence. With screening one - at the ungodly hour of 11 AM on a Saturday morning! - Blancanieves played for fifteen minutes before the film stopped after someone eventually realised there were no subtitles. It didn't matter all that much - the film is silent, and subtitles only served a handful of Spanish language title cards. But despite the early narrative being extremely clear even without translation, we had to sit through the opening act again once the film was restarted with subtitles restored. A hasty fast-forward wouldn't have gone amiss. Then at Mercy the projector cut out smack bang in the middle of the film's dramatic climax. Both, naturally, were digital faults - as happy as I am to accept digital projection, today did the technology no favours. It was a relief when the final film was presented in glorious old 35mm. Blancanieves (dir. Pablo Berger) was the first and best film of the day. It's an altogether more interesting and distinctive silent cinema homage than, say, The Artist - it doesn't get consumed by attempts at aesthetic emulation. Instead, Berger affectionately plays with the stylisation of European silent cinema, and most impressively shows himself as a master of the emotive, intense close-up. The story is an intriguing reinterpretation of the Snow White story set in the unusual world of Spanish bull fighting, with plenty of twists and distortions (a newly bittersweet ending is particularly effective). It's not a masterpiece or anything, but it's engaging throughout and offers bursts of both humour and pathos over its running time. A superb musical accompaniment Alfonso de Vilallonga further adds to an already well-considered atmosphere. Mercy / Gnade (dir. Matthias Glasner) is the kind of brooding, grim drama that is unlikely to graduate from the festival circuit. It's alright for what it is. Set in Northern Oslo, the film follows an emotionally disconnected German family who have moved to the frigid region. Everything changes when Maria (Birgit Minichmayr) is involved in a hit-and-run incident. Again, 'alright' is the optimal descriptor. The film's greatest strength is its oppressive atmosphere aided by the unrelenting Polar Night (darkness has rarely been so accurately photographed). But despite a few twists in the tale - husband and wife are actually brought together by secrets and tragedy - you've seen this sort of moody character study dozens and dozens of times before, and most of the plot beats are familiar. The film isn't always the most subtle either, despite a plethora of moments of brooding silence. Rounding up the day was the Irish premiere of the long-delayed Cloud Atlas (dir. Lana / Andy Wachowski, Tom Tykwer). Quite a bit to say about this one, so a longer review is forthcoming sometime during the week. But overall, as someone who very much appreciated the source material, this was underwhelming. Here I actually prayed for a moment of silence or respite - the film's unrelenting pace and painfully incessant soundtrack (co-composed by Tykwer himself in pre-production) assist the film in resembling little more than a three hour long montage. No time for contemplation - the business of condensing six sprawling, era-jumping narratives into one multiplex-friendly feature unfortunately dictates a complete lack of breathing space. There are some decent performances (note: not Tom Hanks, whose every turn here borders on parody) and rich imagery - but it's all distorted in a slavishly loyal adaption that at the same time loses much of the subtlety and voice of David Mitchell's novel. The po-faced and generically futuristic Neo Seoul segment is the weakest, while the lighthearted Timothy Cavendish chapters surprisingly works best, largely due to a committed comic performance(s) from Jim Broadbent. In the absence of silence, laughter will have to do.